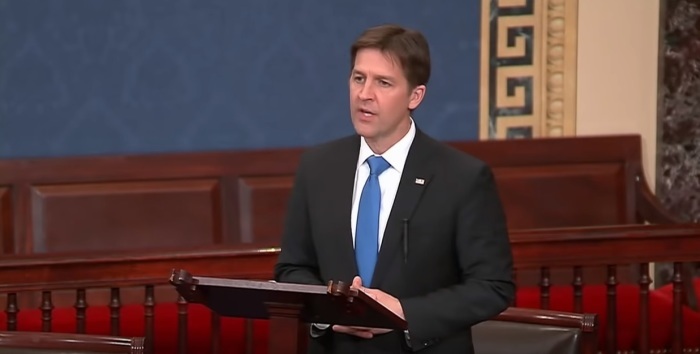 United States Senator Ben Sasse of Nebraska has called on all of his colleagues to support a bill via roll call vote that would punish a medical professional for failing to provide care for a baby that survives an abortion. In a Thursday speech on the Senate floor, Sasse explained he wanted a roll call vote to take place on Monday evening for his proposed bill, titled the Born Alive Abortion Survivors Protection Act. “I'm going to ask all 100 senators to come to the floor and be against infanticide. This shouldn't be complicated,” explained Sasse. Sasse’s actions came in response to Democratic Governor Ralph Northam of Virginia recently defending a pro-choice bill with comments that implied support for infanticide. “And it’s done in cases where there may be severe deformities, where there may be a fetus that’s not viable, so in this particular example, if a mother is in labor, I can tell you exactly what would happen,” said Gov. Northam to WTOP. “Let's be clear what we're talking about. We're talking about killing a baby that's been born. We're not talking about some euphemism, we're not talking about a clump of cells,” continued Sasse. Democrat Delegate Kathy Tran, who introduced the bill, garnered controversy of her own when, during a committee hearing earlier this week, said her bill would allow an abortion up the moment of birth. For his part, Northam has responded on Twitter to the outrage by denying that he was supporting infanticide in his interview with WTOP. “I have devoted my life to caring for children and any insinuation otherwise is shameful and disgusting,” he tweeted, referencing his being a professional pediatrician. Northam is currently being asked to resign by a number of high-level Democrats, but not for his abortion remarks. Last week, a yearbook photo surfaced in which Northam was allegedly one of two boys who were wearing blackface and KKK outfit. On Friday, Northam apologized for the photo, but in a Saturday press conference denied he was in the photo.